2. What's it like to use? Flagship elements offered at a more affordable price, but compromises have been made and although the Huawei P9 Lite impresses, it never streaks ahead of the similarly priced competition. Affordable phones aren't what they used to be. But that's a good thing. Instead of corner-cutting, feature-shedding, design-compromising handsets of little more than financial convenience, they've become well-rounded, desirable devices in their own right. This step change has sparked renewed competition, and the Huawei P9 Lite is the latest device to try and crack one of the most competitive parts of the market. 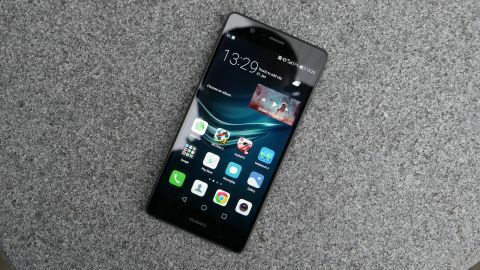 A scaled down spin-off to the Chinese manufacturer’s high-end Huawei P9, the Lite steps back in some places but stays true to its flagship sibling’s roots with a near identical design and a set of specs far better than you’d expect from a phone that’s around half the price. While this sounds impressive, facing off against the likes of the Moto G4 Plus, Honor 6X and Wileyfox Swift 2 X means it needs to push these boundaries in order to even compete. Available now in the UK, the Huawei P9 Lite is affordable, but not exactly cheap. Its £249.99 SIM-free asking price makes it a sort of halfway house device, though shop around and you can find it for roughly £200. The Huawei P9 Lite isn’t as widely available in the US, but SIM-free international models can be found on Amazon and elsewhere from around $200, while in Australia you can pick it up from around AU$300. With a price higher than the Moto G4 but similar to the Moto G4 Plus it’s affordable compared to many phones, but no cheaper than those it considers rivals. So does it do enough to stand out, especially when you can get the Honor 6X – a quality offering from Huawei’s own sister firm - for just slightly more? As budget phones have beefed up their specs sheets, expectations of what a budget phone should offer have risen rapidly. An 8MP camera is no longer enough, nor is 1GB of RAM. Fortunately, the Huawei P9 Lite doesn’t come up short on any of these fronts. It features a near mid-market array of specs and, unlike so many devices before it, hasn’t been built around a single headline-grabbing feature. Instead, it has a balanced specs sheet doesn’t come up short in any one area. To this end, an octa-core Kirin 650 chipset is bundled with 3GB of RAM to form a phone that will handle everything you ask of it without charging you for performance you don't need. With 16GB of internal storage, expandable via microSD to 128GB, there’s also enough space to keep you comfortable, even if you’re taking the phone out on a 24-month contract. You won’t worry about the cameras either. A 13MP, f/2.0 primary camera is joined by an 8MP front-facing camera capable of upping your selfie game. What might be a little more concerning, however, is the phone’s software. Despite Android Nougat having been doing the rounds for more than four months, the Huawei P9 Lite still runs Android 6.0. Worse than that, it’s been skinned with Huawei’s Emotion UI, an Android overlay that’s never quite inspired like TouchWiz or Sense. And despite ticking all the core boxes, that’s where the P9 Lite’s spec sheet ends. There are no luxury add-ons, no cost-increasing gimmicks. There’s what you need and nothing more. That list of requirements now includes an integrated fingerprint scanner though, with the biometric sensor having filtered down from the flagships to the more affordable end of the market. The Huawei P9 Lite ticks this box too, with a fingerprint sensor that sits on the center of the device’s rear. It’s brilliantly quick, but is prone to the occasional misread of your finger, forcing you to go back for a second fondle. This location is great when the phone’s in your hand, but it's less helpful when lying screen-up on your desk. Huawei is a former king of flimsy plastic. The company has changed though and has made some beautiful phones over the past couple of years. Pleasingly, the Huawei P9 Lite continues this trend. Yes, there’s a bit of the iPhone copycat about the phone’s metal framing that’s intersected by a couple of bold antenna lines, but it’s hardly the only phone to pinch this design detail. Although easy on the eye, it’s not all luxury, and compared with its big brother, the Huawei P9, the Lite is visibly the more affordable option. The P9’s aluminum unibody design has been traded in, with a smooth, flat plastic back instead adorning this device. It’s not a bad looking phone, far from it, but neither does it have the wow factor, even in this price bracket. This plastic back feels robust, but it’s also a bit slick, offering little in the way of grip. It’s also a step back from some of the competition. The all metal bodies of the Wileyfox Swift 2 X and Honor 6X blow the P9 Lite away. In terms of overall visuals and ergonomics, the P9 Lite has a few details that give it an edge though. Despite featuring a 5.2-inch display, the phone doesn’t feel particularly big. It carries its 147g evenly across its body, features minimal bezels and at a mere 7.5mm slim is barely any thicker than the 7.1mm thick iPhone 7. It also makes the 9.8mm thick Moto G4 Plus feel positively plump. That 5.2-inch screen doesn’t just make the P9 Lite comfortable to hold, it’s impressively sharp too thanks to a 1080 x 1920 resolution. With screen quality historically one of the first corners to be cut when keeping a phone’s price low, pleasingly that hasn’t been the case here. As well as the film-friendly resolution, there’s proper punch to this screen. Bright and vibrant with colors that catch the eye, the IPS panel really pops. It’s not perfectly balanced though. It struggles slightly with more nuanced images and we’ve seen better contrast levels. Some bright colors can be a bit peaky and overblown, but, for the most part, this is a screen, like the phone’s design, that’s more than you’d expect for the money. Next Page What's it like to use?